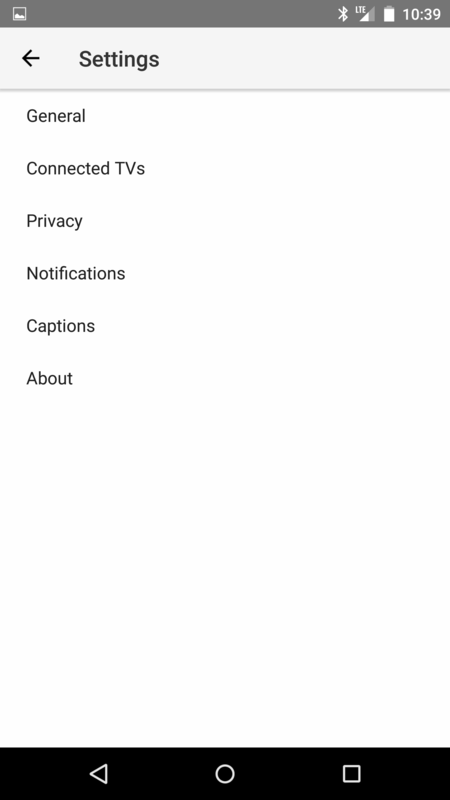 HomeYoutube Background and Offline options not in your settings? Try this! 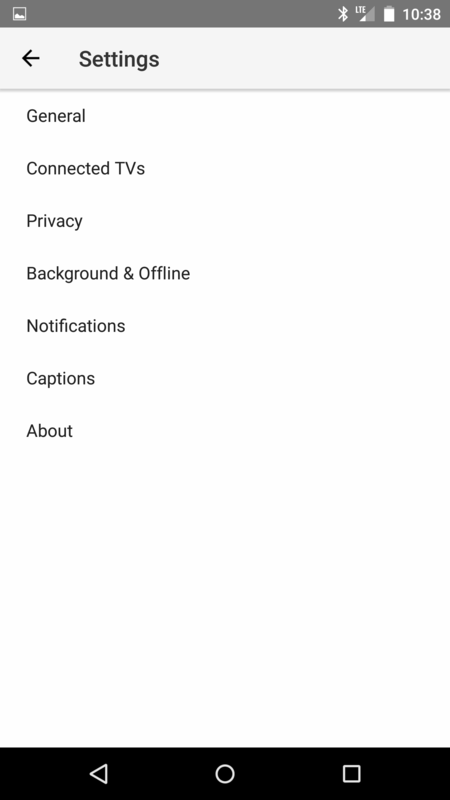 Youtube Background and Offline options not in your settings? Try this! UPDATE: It’s important to know that you need to have Google Play All Access subscription. This allows both access to Google Music but in addition, YouTube Music Key and by extension, Background and Offline Playback. I recently re-subscribed to Google Play All-Access and I’m happy with it once again. When I first got it on my LG G3 the Background play options were available with no issues. After getting my Nexus 6 a few months later, I found that when I recently re-subscribed the background option was not around. Doing some web searches found some very vague results, some people just didn’t’ understand that you had to subscribe to All Access to get Music Key, others called Google and even google couldn’t help figure out why it wasn’t showing up for them. Frustrated I was about to turn it off till I was sitting at my computer one day and noticed something. Despite only having one @GMAIL.COM address, I was missing subscriptions on my computer. Curious, I looked around a bit and remember that now Google has had a Divorce from youtube. So, I clicked my username (Kaizokudave) and saw my real name for when they were on that whole trip. 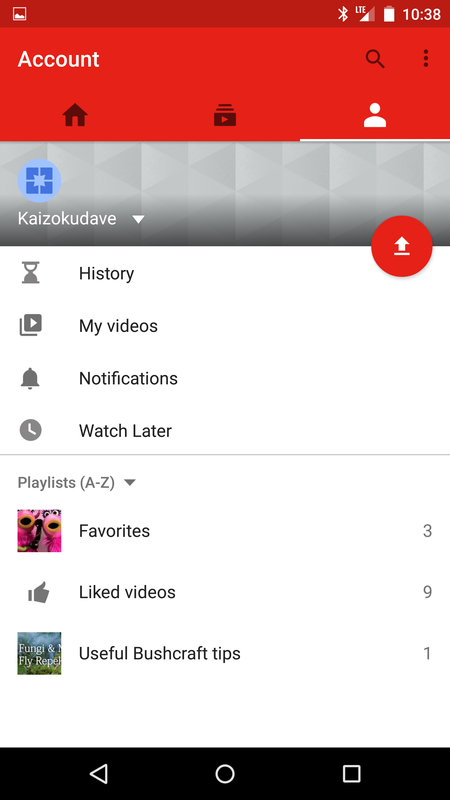 I clicked the top right corner (or usually in the YouTube app) where it selects your username or your real name. It appears that despite it being one “account” I always assumed when it asked you who do you want to use YouTube as that was just who/what showed in the comments. When in actuality it appears to be two completely separate accounts. 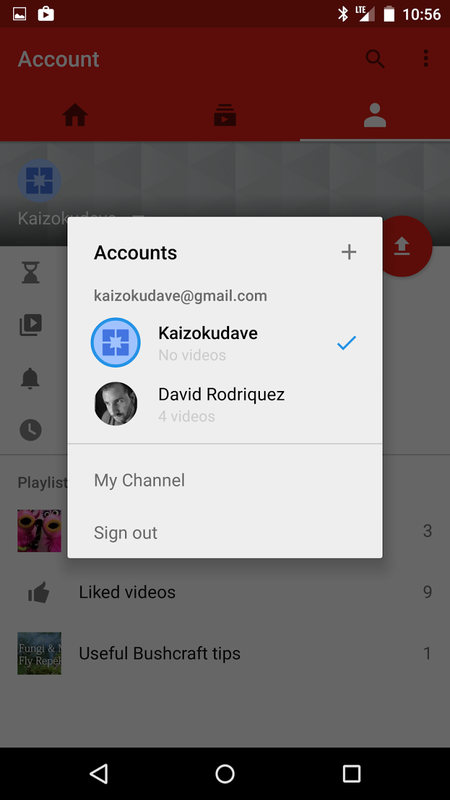 Different subscriptions, different videos, etc. etc. You’ll be asked to change to your Real Name or whichever account its not working on should work. Now go back into your settings in your other account and check it out! I’m suprised Google hasn’t said anything about it but it is very clear that the whole Youtube/Google Plus divorce wasn’t very smooth. This sounds like pretty much par for the course for Google when it comes to it.